Last Month, we addressed the Press to reiterate our position on the need for government to work with a sense of urgency in fulfilling its 2016 campaign promise of overseeing the election of MMDCEs in 2018. One Month down the line, we find that the Akufo-Addo government is continuing the undermining of the local governance system particularly the authority and fiscal capabilities of the various Assemblies. Government is taking undue advantage of its control over the MMDCEs to rob the Assemblies of the funds needed to boost development at the local level. 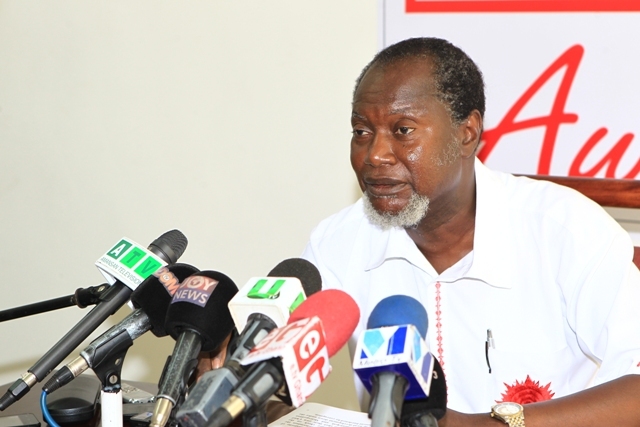 It is the considered opinion of the PPP that the distribution formula recently approved by parliament and the subsequent directives from the President’s appointed Administrator of the District Assemblies Common Fund, is a clear breach of the spirit and letter of the fiscal decentralisation policy and an abuse of executive powers. It is obvious that the Akufo-Addo Administration talks decentralization when it is politically expedient but practices centralization when no one is watching, just like what the NDC in power did. We demand that MPs who are the representatives of the people must be diligent in checking such breaches to ensure that disbursement of common funds to the MMDAs would be based on an open and transparent formula approved by parliament. At the same time, Parliament must not sit unconcerned while funds meant for local development are diverted for use by central government to the detriment of local priorities. We wish to state unequivocally that the PPP cannot wait any longer for the same executive that is taking undue advantage of the status quo, to implement the election of MMDCEs policy in its own sweet time. We take this opportunity to again, demand from the NPP administration, the clear road map for the election of MMDCEs, which we believe is the only genuine way to give power back to the people. We further wish to state that the PPP is not against the job creation agenda of the NPP-government. However, we oppose government’s decision to take away funds allocated through the Common Fund for use by the Assemblies. The recent action taken by the Akufo-Addo administration to commandeer funds meant for the Assemblies will kill local initiative and will not allow the Assemblies to deal with priority local infrastructure needs. The PPP shall continue to promote the election of MMDCEs as the most important governance reform needed for Ghana’s democratic and economic development, and demand that it is made a topmost priority in Ghana’s governance agenda.